Catalog Home > FastMache, 1.5 lb. 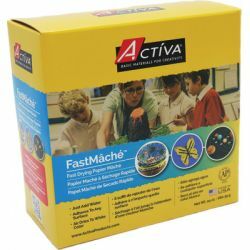 A new fast setting formula for those times when you don't want extended dry times. 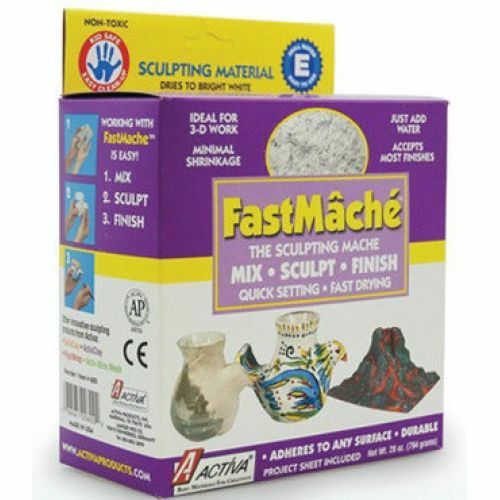 Larger pieces and techniques requiring quick set up times are easier with this new FastMache. Minimal shrinkage adds to the versatility of uses. Heavier, with a tougher finish than the original, FastMache is ideally suited for 3-D work and is perfect for all of your school project needs. Additional shipping charges apply.